The Custard TV: Why I can't hang up on The Call Centre. Why I can't hang up on The Call Centre. The opening voiceover that brings us into the world of 'The Call Centre' informs us that 'call centres are the factories of our time' and while this is somewhat of an overstatement – there's little chance in a call centre of losing a limb or being crushed under heavy machinery – this second series from BBC Three attempts to offer viewers a weekly hour of insight into what has unarguably become a rite of passage job for a lot of young people, especially in post-industrial regions of the UK. This week, the focus is on 'Thorpey', Nev's Call Centre Manager (and one of the few people in the Call Centre who seems to do any actual work); Simon and Kieran Vye, a troublesome twosome in the sales team who get kicked out of a Swansea City football game and have to surrender CEO Nev's season tickets as a result, and the wonderful June, the 60 year old new recruit who bursts into tears when she is told she's passed her probation and can keep her job...for now. 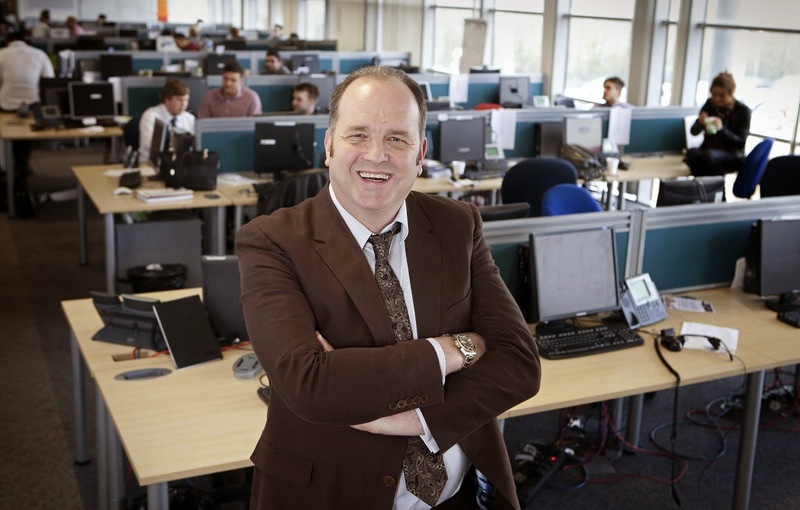 But 'The Call Centre' is no fly on the wall documentary and, given the antics of this week's episode, you've got to wonder whether the offices of Save Britain Money were ever this hectic before the cameras started rolling. This episode typifies the line the series straddles; between the apeing and jostling for more screen time that seems to be behind false eyelash Queen Mary-Ann's birthday celebrations for reluctant (and surprising) boyfriend Thorpey, and some genuinely moving moments when Thorpey tries to discipline June for poor sales but immediately buckles because she's too darn loveable - and also her dog died. It's the best and worst of the series combined, showcasing what makes this bafflingly recommissioned show at once cringingly unwatchable yet also oddly compelling. We've all been on the receiving end of an unwanted cold call or twenty and the series does little to dissuade us from the scathing hang-ups we hear snippets of, muffled in the sales agents' headsets. For all its blunder and noise, however, there are moments in which the audience can get a glimpse beyond the brash exterior and see the human stories the series is, in perhaps a too generous assessment, wanting to tell. We recognise the characters in this work place farce and we want the best for the ones we root for, whilst some others could do with getting their comeuppance, which we were denied this week in Kieran's pointless disciplinary - Nev will apparently just reinstate anyone he doesn't want to lose. Ultimately, this is a series that doesn't seem to expect anyone to like it which seems to suit it just fine. It's unapologetic and manipulative and bizarrely, that may just be the very thing that brings you back to watch next week. I know I will. Just don't tell anyone.